Monsieur Gangster, In The Realm Of The Senses and The Big Blue among first titles to be featured. The first crowdfunding platform dedicated to raising funds for the restoration of heritage and archive films is set to be launched by European digital technologies specialists Ymagis Group. Celluloid Angels, which will go live next week (June 8), will aim to “rally a community of cinephiles around a single cause: to tangibly protect and preserve the world’s film heritage”. As the use of physical film stock continues to fall – with declining projection capabilities in cinemas and dwindling usage in the production of films – Ymagis wants to provide rights holders with an additional source of financing and a point of contact with film aficionado communities. The company is intending to restore 15-20 films this year alone, with a roster of titles lined up for the website’s launch including Georges Lautner’s crime caper Monsieur Gangster (1963), Nagisa Oshima’s historical drama In The Realm Of The Senses (1976) and Luc Besson’s The Big Blue (1988). While the initial launch will be in France, Ymagis aims to expand the platform internationally by autumn. Celluloid Angels will raise funds for the restoration process and will allow contributors to follow progress online, including discussing the projects with specialists in online forums. Rewards will include private screenings, social events and guided tours of the studios involved in the work. Ymagis Group’s takeover of historic film laboratory Éclair was made official in July 2015, which included the acquisition of the company’s archiving services warehouses in Auxerre, near Paris. 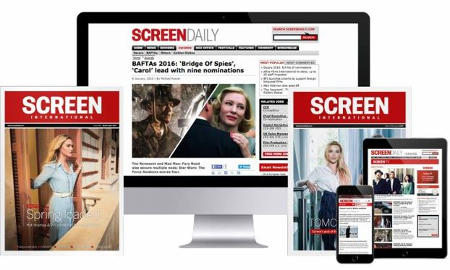 In March this year, Ymagis CEO Jean Mizrahi discussed the acquisition with Screen, including how his company intended to address Éclair’s recent decline by modernising its offering into the digital age. The platform will also source funds for the preservation of archive advertising films and documentary films from the annual Connaissance du monde (World Knowledge) conference, which has been in existence since 1945.